Every vendor who is responsible for collecting/remitting payment of Oklahoma sales tax must file a Sales Tax Return. Returns must be filed for every period even though there is no amount subject to tax nor any tax due. 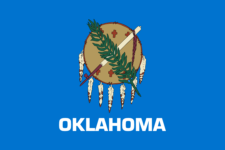 Tax Reminder works year round to keep official tax form info up-to-date for Oklahoma and the rest of the USA. The IRS and states change their forms often, so we do the hard work for you of figuring out where the official form info is located. Never forget to file OK STS 20002 again. Are we missing a Oklahoma tax form?